Note from Pastor Kevin Lea: If Dr. Walt Brown is correct about the origin of asteroids, and all the evidence coming back from space over the last decade suggest that he is, then this space probe will actually be scooping up material that was jettisoned from earth about 5,000 years ago when the fountains of the great deep erupted (Genesis 7:11). It is no surprise that they are finding evidence of water on asteroids, since it was water and debris from the fountains that escaped earth’s gravity and formed asteroids. Some of the minerals that have been brought back to earth from comets can only be formed under conditions of high temperature and pressure. This is impossible in the near absolute zero temperatures and zero gravity of space, but perfectly consistent with Dr. Walt Brown’s Hydroplate Theory explanation. TOKYO (AP) — Japan’s space agency said an explosive dropped Friday from its Hayabusa2 spacecraft successfully blasted the surface of an asteroid for the first time to form a crater and pave the way for the collection of underground samples for possible clues to the origin of the solar system. Friday’s mission was the riskiest for Hayabusa2 because it had to immediately move away so it wouldn’t get hit by flying shards from the blast. The Japan Aerospace Exploration Agency, or JAXA, said Hayabusa2 dropped a small explosive box which sent a copper ball the size of a baseball slamming into the asteroid, and that data confirmed the spacecraft had safely evacuated and remained intact. 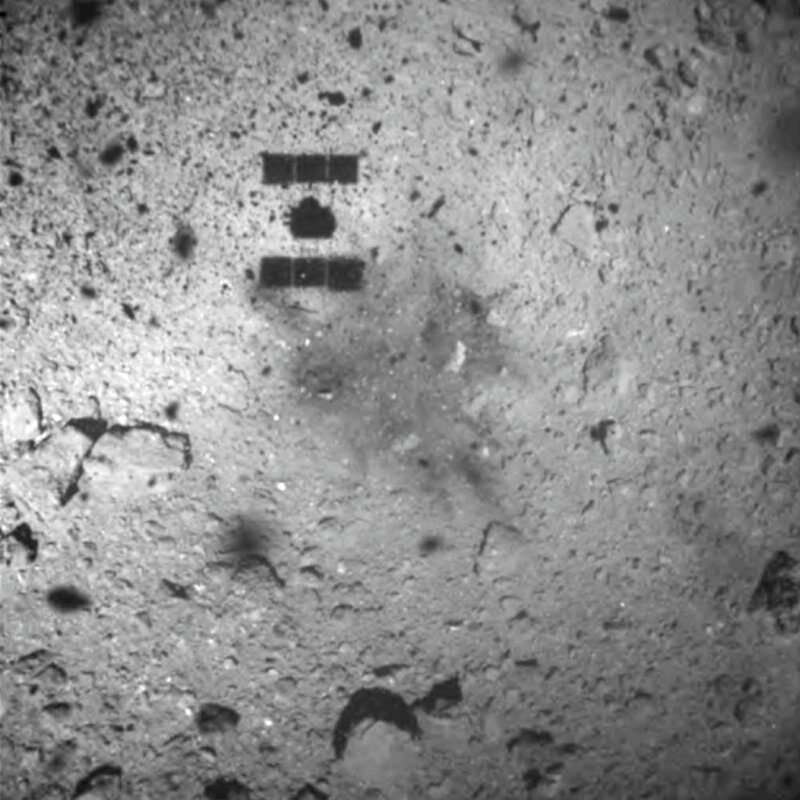 JAXA later confirmed the impact from images transmitted from a camera left behind by the spacecraft which showed the impactor being released and fine particles later spraying dozens of meters (yards) out from a spot on the asteroid.